Activate your Equiphase Affiliate account today to start earning free hosting – earn 5% of every payment each customer you refer to us makes for the entire duration of their hosting account, to use towards your own hosting with Equiphase. In layman terms … if you get one of your friends to sign up annually to our Bronze Package, you’ll get a credit of £2.40 to use towards your own hosting, and as long as your friend remains with us, you will continue to receive 5% of every payment they make. Once signed up on the Equiphase Affiliate Program, use the links and banners provided, and get your friends to sign up using your own unique affliate URL which is used to track their order process and to assign it to your affiliate account. 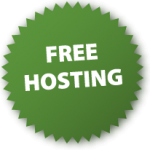 You’ll be earning free hosting in no time! REMEMBER: You don’t need to buy anything from us to register, but credits can only be exchanged for hosting.